We get sent so many great tracks that use our sounds, we really wanted to have a place to keep them all together. So to kick it off, we’ve decided to have a small competition. Now, this is not a go-and-make-a-remix-type thing or anything that requires much effort, all that is required is to submit any track you have already made (via Soundcloud) that uses a Soniccouture instrument – free instruments are fine too. First submit your track via the Soundcloud link on this page. All the tracks will then be displayed at the bottom of this page. After one month, Dan & I will pick a shortlist of our favourite tracks for a public vote.The track with the most votes will win a $500 (€375) voucher to spend in the Soniccouture shop. This voucher can also be kept and used against future purchases and releases. You will require a Soundcloud account to enter, but we figured most of you will already have one, and if you don’t, well, they’re free and handy to have. The idea for Beat Shredder was suggested by one of our users; thanks Flavio! It’s intended for use with drum loops (or other rhythmic loops) and allows you to randomize the start time of the loop in rhythmic values. That is, if the script is ACTIVE and you play a note, the start time will be a random offset from the beginning, but in multiples of a certain note LENGTH. You can Activate the script with the button at the top left, and using the key defined below that button turn it on or off via MIDI. The LENGTH and RANGE knobs allow you to set the size of the note division and the Range over which to randomize the start time. Usually you would set the Range to the number of bars in your loop. Below the ACTIVE button on the left you will also see buttons for REPEAT and HOLD. REPEAT will keep retriggering the sample at random points as long as a note is held down. HOLD will stop the slices from being randomized, so when HOLD is down you will repeat a single slice. Both these controls also have MIDI Key assignments so that they can be easily automated from a sequencer. Finally the DIVISOR knob is relevant only in REPEAT mode, and it speeds up the repetitions if you want to use this to create glitch or drill effects. Works in Kontakt 4.1 or later. Beat Shredder works best before any other scripts in the script chain. Recently, the sound of our Array Mbira instrument caught my ear. I had followed a link from Twitter to the Bandcamp page of C418, otherwise known as Daniel Rosenfeld. Playing one of Daniels tracks, Surface Pension, I loved the strong, individual use of the Mbira in the intro. In fact, listening to the tracks it seemed as though Array Mbira is one of the signature sounds of Minecraft, which is fantastic. So I read a little background on him, and was intrigued to discover that he had got his break writing music for a computer game when he was only 20 years old. Now he has thousands of followers and fans of his characterful, whimsical music. So, I got in touch with Daniel to ask him how he got started in music.. I started out making music for myself and sharing whatever I created with close friends. Markus Persson, the original creator of Minecraft was one of those friends. When he asked me to create music for his game, Minecraft was merely a tech demo that had nothing but a flat surface you could place blocks upon. As I kinda had nothing better to do, I agreed on helping him out creating music, and sound. So essentially I created every song and almost every little sound effect heard in the game. And I still do, actually. Turns out the game is really popular and sells super well. 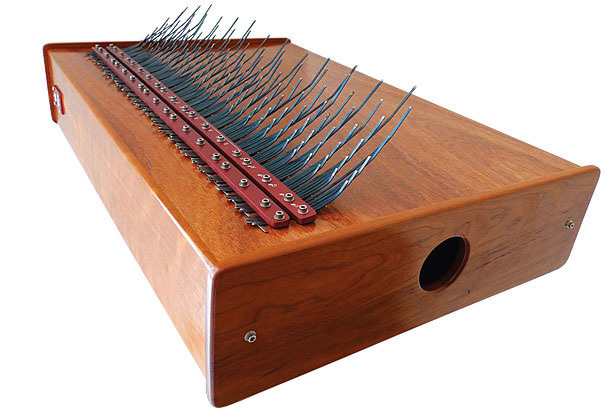 Where did you first hear about the Array Mbira virtual instrument? I kinda learned about Soniccouture in general after I was allowed to play a pan drum for a short while. And there was really nothing about actual hangs in the sampling market, except for Soniccoutures library. I still use the hang library a lot. Mostly in the background as a kind of flavor to the overall sound. After playing around with the pan library, I got into more and more of the instruments Soniccouture makes, and they’re really brilliant unique stuff. I absolutely love it so so much, haha. Like, the bowed piano, gamelan, music box and the crazy speak and spell library. I pretty much use a little bit of everything in all of my productions. Oh, and Geosonics is gonna be super useful for some future Minecraft music, and I will use it a lot there. Would you say Array Mbira is one of the signature sounds of Minecraft ? Could you point us at some of your favourite Array Mbira tracks? I used the Array Mbira library very prominently for the soundtrack to the documentary about Minecraft. Something about the quality of the instrument kind of made me want to stretch its soundscape over the entire thing. Maybe to make it feel connected, of sorts. So no, I don’t use the Mbira as part of my individual sound, but it sounded so good to me that I decided to write an entire 90 minute soundtrack having it as a backing instrument. …I think the stuff you make really makes my life easier, since I love to write unique music. GeoGenerator is a very simple generative music script. It’s intended to demonstrate that even with a very basic algorithm you can get some interesting results. This algorithm simply generates a random note within an octave range, choosing from the note set or scale defined in the script. There are five possible voices (VOICE 1 to 5), each of which can be assigned their own NOTE length, OCTave, % chance of occurrence, and VELocity. The script is made active with the ‘Geo Generator’ button at the top left, and you can mute the input MIDI there as well if you like. Once active, the script will start playing upon receiving a note, or else when the PLAY switch is turned on. You can click on the little keyboard to include or exclude notes, or else choose from some PRESET scales. 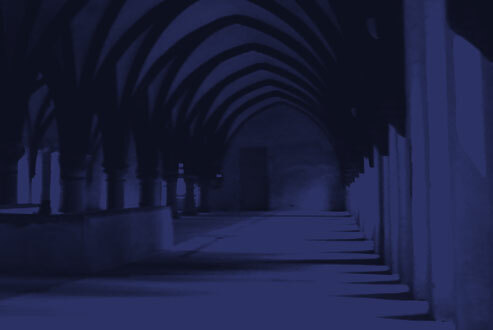 There is an option for HALF TEMPO if you want to use it to generate random backdrops. GeoGenerator will chase tempo changes if used in a sequencer. LIVE TRANSPOSE allows you to transpose the output of the GeoGenerator with your keyboard. If you play middle C (MIDI 60), the transpose is 0. Above or below middle C will transpose the output. Requires Kontakt 5.1 or later. GeoGenerator works best placed before any other scripts in the KSP chain. For the curious who don’t yet have Geosonics, and existing users who want some power-tips, I’ve made some walkthrough videos to help clarify the way the instrument is structured, and exactly how the original Chris Watson recordings work with the sound design material, etc etc. It’s taken all week for even this meagre result – I don’t know if it’s the same for everyone (I suspect not), but personally I find that making these things is always an intoxicating mixture of minor technical niggles and searing embarrassment. Anyway, I hope they help someone!